The development of cancer therapies depends on identifying exploitable differences between the host immune response and the tumorigenicity. These include anatomic, metabolic, cell cycle kinetics, and presumed antigenic differences between the normal tissue and tumor cells. Immunotherapy also called biologic therapy is a treatment that uses body's own immune system to fight against cancer. Cells such as dendritic cells (DCs), natural killer cells, effector T-cells, and molecules such as complement can be used in various treatment modalities which are segregated as “active” and “passive” based on their ability to engage the host immune system. Further both active and passive immunotherapies can be subdivided into specific and nonspecific approaches. 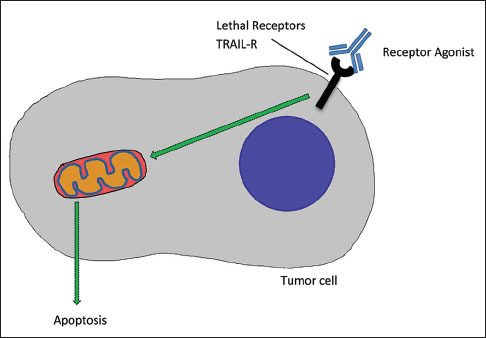 Thus, it is essential to understand the therapeutic approaches and the vaccines made based on the role played by these cells and molecules to circumvent the barriers of tumor microenvironment for an antitumor response. Hence, through this article efforts were made to comprehensively explain the concepts of cancer vaccines and immunotherapies in the treatment of oral cancer. Background: Biliary tract malignancies consists of gall bladder malignancies and intrahepatic and extrahepatic cholangiocarcinoma. Among these, the most common is gall bladder malignancies. The incidence of gall bladder carcinoma in India ranges from 1.01 per 100,000 for males and 10.1 per 100,000 for females. 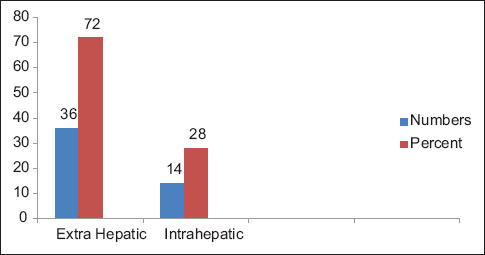 Aims and Objectives: This study was conducted to assess the incidence of epidermal growth factor receptor (EGFR) and vascular endothelial growth factor (VEGF) in biliary tract malignancies in Indian population, and to correlate the same with histological features as well as clinical staging and treatment outcomes. 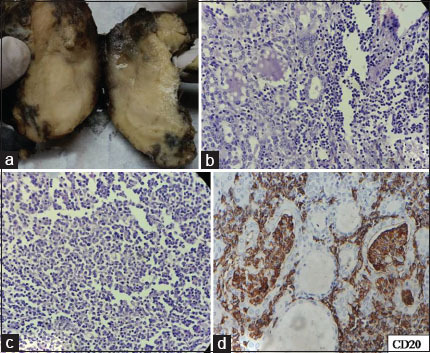 Materials and Methods: Fifty cases of proven biliary tract malignancy were immunohistochemically stained for EGFR and VEGF, and scoring was done as per the standard recommendations. Results: In our study, the expression of EGFR was significantly higher in advanced stage disease as well as in poorly differentiated adenocarcinomas. Conclusion: Our study shows that advanced biliary tract malignancies show increased expression of EGFR. Background: Assessment is a crucial step in the educational process and is the driving force behind learning. Formative assessment (FA) is a relatively new concept in assessment methods. 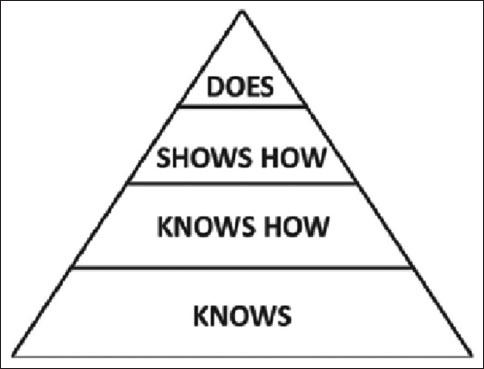 By applying Blooms taxonomy (BT), which describes developmental progression for knowledge in FA, we can drive deeper learning. We were interested to know if by framing multiple choice questions (MCQ) using BT model and using it as a tool for FA will help to reinforce learning among first year MBBS students. Materials and Methods: All 150 MBBS students taking biochemistry classes were subjected to MCQ tests at the end of series of lectures and an internal exam (T3). MCQ s were framed by applying BT testing at all levels of cognition domain. Pearson's correlation coefficient of marks before and after the intervention was calculated. Mean scores were analyzed using students paired t-test. Feedback was analyzed for students' perception regarding the assessment method. Results: Comparison of mean scores in T3 with average of T1 and T2 showed P value of >0.0001. Only 28.7% students got <50% marks when assessed after FA as compared to 46% students before using FA. Analysis of students' perception indicated a high level of acceptability and motivation toward incorporation of formative assessment. Conclusion: Introduction of MCQs as a tool for formative assessment at the end of each lecture helps to reinforce learning in first year medical students. This study demonstrates the need for using the BT model, which tests knowledge at various levels of cognition in FA pattern. Context: Ligamentous injuries around the ankle joint are among the most common sporting injuries, especially in jumping sports (e.g., basketball, volleyball). They are not always well-managed. Associated injuries are frequently not diagnosed and the rehabilitation of ligamentous injuries is often inadequate, leading to a high rate of recurrence. Aims: The aim of this study was to find out effects of ultrasound therapy (UT), UT with taping, proprioceptive neuromuscular facilitation (PNF) training, PNF training with taping in treatment, and rehabilitation of high ankle sprain injury. Settings and Design: The experimental design used in this study was random group design. Of the total population with ligament injuries of the ankle, 50 suffering from high ankle sprain injury were randomly selected. Materials and Methods: Fifty subjects suffering from high ankle sprain injury were randomly selected and divided into five groups consisting of 10 subjects in each. Group I underwent UT, Group II underwent UT with taping, Group III underwent PNF training, Group IV underwent PNF training with taping, and Group V was considered as the control group, which was managed with RICE protocol and did not receive any specialized treatment. Statistical Analysis Used: To find out the significance of the difference among the five different treatments on a particular dependent variable, analysis of covariance (ANCOVA) was used. 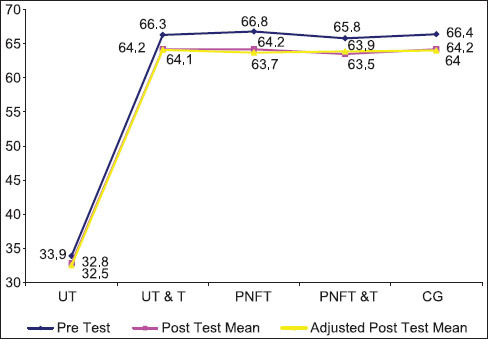 Results: It was concluded that combining ultrasound with taping and PNF training with taping were found to be more beneficial in the treatment and rehabilitation of high ankle sprain injury. Conclusions: It was concluded that combining ultrasound with taping and PNF training with taping were found to be more beneficial in the treatment and rehabilitation of high ankle sprain injury. The combined effect of UT, PNF training, and taping may be explored by future researchers. Context: To evaluate the residual antimicrobial effects and surface alterations of gutta-percha disinfected with four different solutions. Materials and Methods: Eighty gutta-percha cones (ISO #40) were randomly assigned to four experimental groups; different types of disinfecting solutions were used for each, namely sodium hypochlorite (NaOCl), chlorhexidine (CHX), aloe vera, and propolis (n = 20 for each group). The cones were immersed in each solution for 5 minutes and 10 minutes; thereafter they were dried. 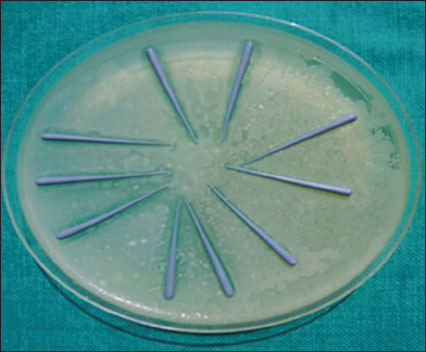 Agar diffusion assay was performed to assess the zone of inhibition. Scanning electron microscope analysis was conducted on additional 80 disinfected cones. Statistical Analysis Used: The data was analyzed using ANOVA and Bonferroni multiple comparison test and Man–Whitney U test. Results: Statistical significance was observed among the four groups (P < 0.05). Group IV displayed no statistical significance at 5 minutes and 10 minutes exposure, whereas groups I, II, and III displayed statistical significance at both exposures. Based on the above-mentioned results, gutta-percha when immersed in propolis for 5 minutes and 10 minutes had shown better residual antibacterial action as compared to other test solutions. No surface alterations were detected on gutta-percha cones during the selected time intervals. Conclusion: Propolis followed by aloe vera possesses superior antibacterial efficacy as compared to sodium hypochlorite and chlorhexidine and does not cause any surface alterations to gutta-percha. Aim: To find the efficacy of radiofrequency identification (RFID) strips in reading patient treatment details and as a tool for patient identification. Materials and Methods: The initial part of the study was done in in-vitro dentures and later in in-vivo conditions in patient dentures. 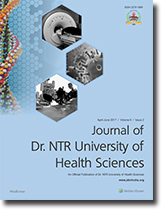 In-vitro testing was done by incorporating RFID strips in 10 nonclinical dentures and the ability of the RFID reader to accurately read the information was checked. In the second part of the study, 35 implant-supported overdenture patients were chosen and RFID strips were incorporated in their dentures after feeding the data. The accuracy of the RFID reader to read the patient details and treatment information was checked after processing and after a period of 6 months. Results: The in-vitro results revealed 100% accurate reading of the details by the RFID reader. In the clinical study, 35 out of 35 patient details were readable after processing. Conclusion: RFID can be an effective tool in denture identification and in revealing the patient's previous treatment history, prosthesis type, implant brand, dimensions, and material used which will be very useful in implant therapy. Background: Good implant stability is the prime concern for successful prosthetic rehabilitation. Many methods and different types of implants have been used to achieve primary and secondary stability with varying success rates. The evolution continued with the use of biological materials for early osseointegration. The present study was aimed to compare and evaluate the effect of platelet rich plasma (PRP) on the early osseointegration and secondary stability of dental implants using implant stability values. Materials and Methods: A total of 18 dental implants were randomly placed among 10 patients in the mandibular posterior region using split mouth design. In the control group, implants were placed following standard surgical protocol. In the study group, autologous PRP was used to moisten the implants before placement. Implant stability was observed and compared using Osstel Implant stability meter at 0, 30, 60, and 90 days. All the cases were followed-up over period of 18 months. Statistical analysis was carried using one-way analysis of variance and paired and unpaired t-test. Results: Significant difference in stability values were observed in the study group following 30 days after implant placement. Control group showed no statistically significant difference at all time intervals. Implant stability values were higher in the early phase of osseointegration in the PRP group. However, at the end of the study period, both groups showed similar stability. Conclusion: Good primary implant stability is beneficial for early loading and rehabilitation. PRP can be successfully used as an adjunct for better and early function. It is safe due to its autologous origin, thus eliminating the risk of disease transmission and immunogenic reactions. Crouzon syndrome is an autosomal dominant disorder characterized by craniosynostosis of coronal and sagittal sutures. Crouzon syndrome is caused by mutation in the fibroblast growth factor receptor-2 (FGFR-2) gene. Other characteristic features of Crouzon syndrome include exophthalmos, midfacial hypoplasia, and mandibular prognathism. The present article describes a case report of a 13-year-old male patient with characteristic skeletal and dental features of Crouzon syndrome. 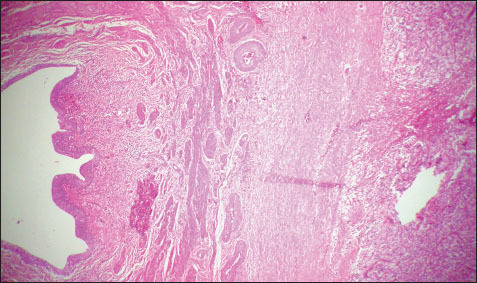 Amniotic band syndrome (ABS) results from bands of amnion entangling fetal parts. They may manifest as constriction rings or complex congenital anomalies resulting in stillbirth. Karyotyping is important for exclusion of inherited disorders and proper counseling. Two case reports one stillbirth and the other with constriction ring of fingers and mild hydronephrosis are presented. The aim of this paper is to make awareness and stress the need for doing thorough work-up in all cases of constriction bands. A middle-age male patient, trumpet blower by occupation, presented with progressive dyspnea with chest heaviness since 2 weeks and low grade fever since 1 week. It started with sudden severe retrosternal chest discomfort and episodic vomiting while practicing trumpet blowing. Patient was toxic with high fever, tachycardia, and tachypnoea. 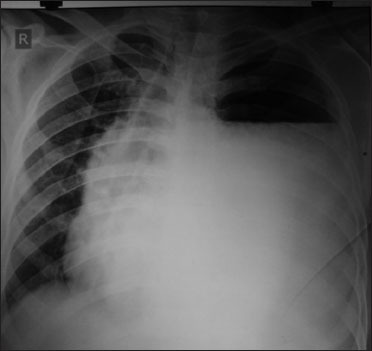 Clinicoradiologically, patient was diagnosed as left-sided hydropneumothorax. Intercostal chest (ICD) tube was inserted at left 5th. intercostal space at midaxillary line following which pus and air came out. Pleural fluid was acidic with high amylase level and polymicrobial growth. Repeat chest X-ray showed partial resolution of left-sided hydropneumothorax. From 4th Day, food particles were noticed in the drainage bag. For screening, 0.1% sterile methylene blue was given orally which came in ICD tube and bag within 24 hours. Subsequently, barium swallow esophagus, CT thorax with oral and intravenous contrast, and upper gastrointestinal endoscopy confirmed left-sided esophagopleural fistula. The spine is a complex and vital structure. Its function includes not only the structural support of the body as a whole but it also serves as a conduit for safe passage of the neural elements while allowing proper interaction with the brain. 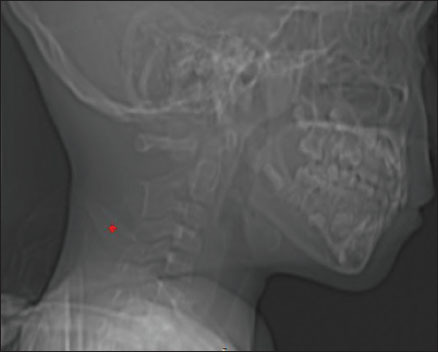 We report the case of a 7-year-old child who presented with a swelling in the posterior aspect of the neck. On lateral radiograph, there was elongated spinous process in the neck. Computed tomography examination better depicted this congenital variant and clearly showed giant spinous process of the C5 vertebrae. There was associated spina bifida at this level. Moreover, there was asymmetrical fusion of the posterior elements at C2, C3, and C4. Magnetic resonance imaging showed normal signal intensity of cervical cord. This is a very rare congenital anomaly. Very few cases have been reported previously. Lipoid proteinosis is a rare disorder, with only 300 cases reported in the medical literature. It is inherited as an autosomal recessive trait, characterized by the deposition of a hyaline material in the dermis and submucosal connective tissues. Classical clinical symptoms of this disease are skin scarring, beaded eyelid papules, and laryngeal infiltration, leading to hoarseness. In this article, we present a case report of a 61-year-old male patient who reported to our institution with multiple yellowish papules in tongue, hoarseness of voice, and beading of eyelids. Avulsion or exarticulation is one of the most severe injuries of the tooth, frequently encountered in young children and the maxillary anterior teeth. 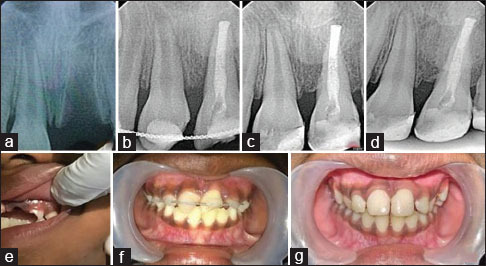 Immediate transplantation of the avulsed tooth is the suggested treatment that results in a favorable prognosis, although this may not be possible every time. 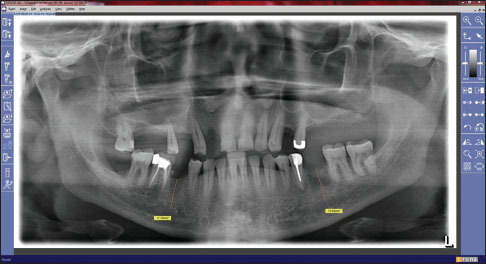 Here, we present a case report of an 8-year-old girl who sustained an avulsion injury of the maxillary left central incisor with 4½ days extraoral time. Treatment guidelines for avulsed immature permanent teeth with prolonged extraoral dry time were followed. Portland cement was used for obturation of the root canal. The clinical and radiographic findings after 18 months revealed minimal inflammatory root resorption and ankylosis of the replanted tooth, whereas clinically, the tooth was asymptomatic and maintained the aesthetics of the child, suggesting the importance of replantation, although there was prolonged extraoral dry time.